Beautiful boxes from around the world. 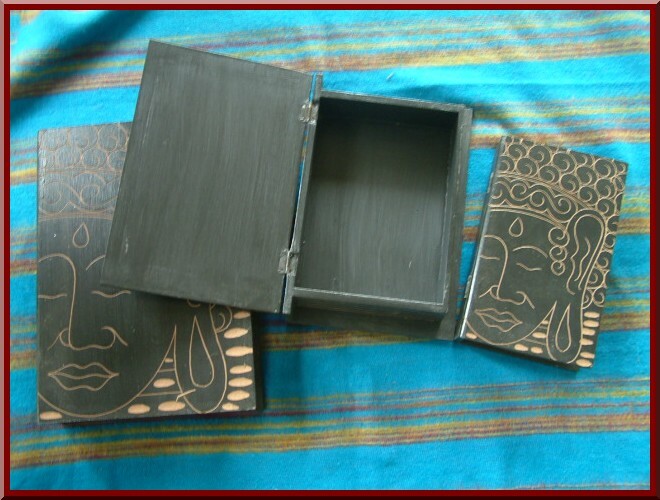 Boxes and storage containers made from resin-stone, wood, and many other features such as size and design. 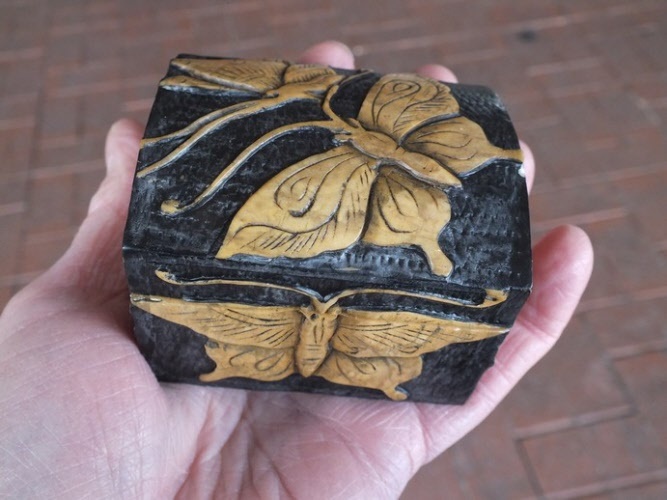 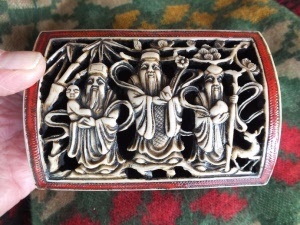 Beautiful box made from resin - stone in Vietnam. 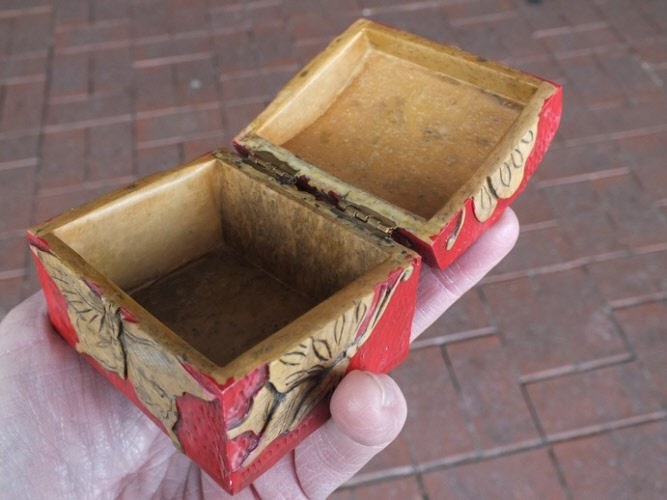 The lid comes completely off, great design and ideal to store your precious items in. 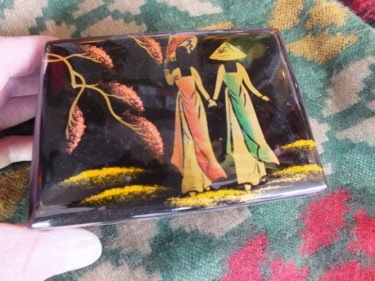 Lacquerware is a cottage industry in Vietnam these days. 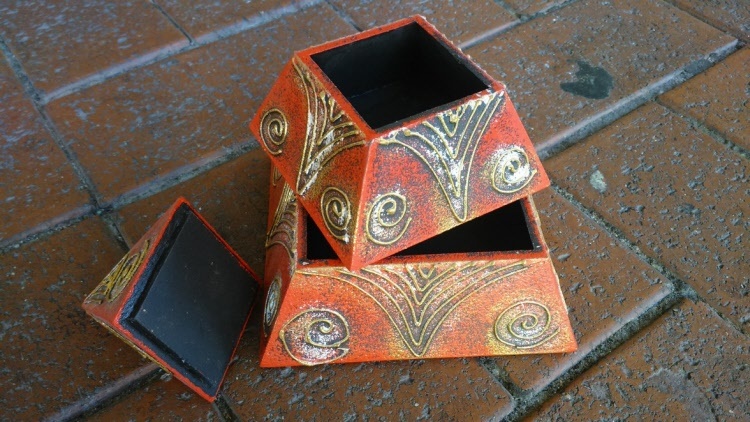 Such beautiful designs and high gloss finish. 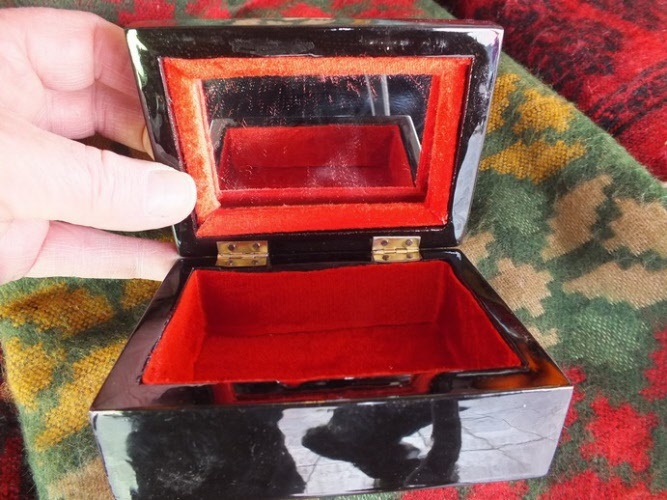 Lined with felt inside and has mirror as well. 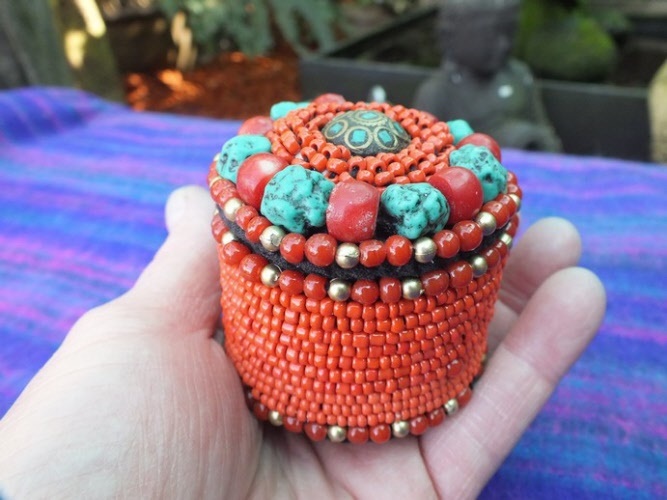 A beautiful little box, (made from soft foam) hand beaded by Tibetan Refugees living in Nepal. 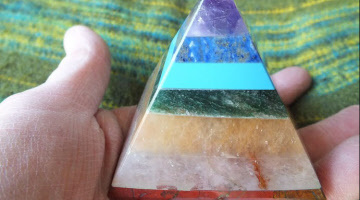 Has turquoise stones on it as well. 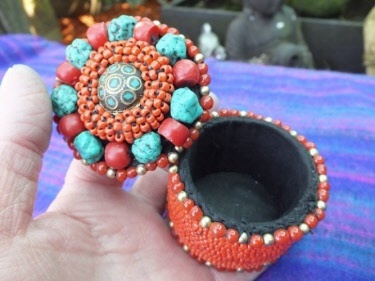 Ideal to keep something in your handbag or just at home on a shelf. 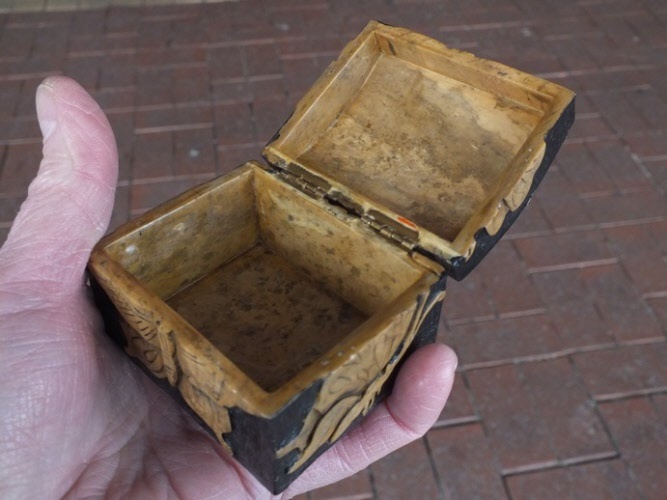 A great idea, a box made from a real tree trunk and the lid just slides off to reveal a box where you can store your precious items, no one will think to look inside. 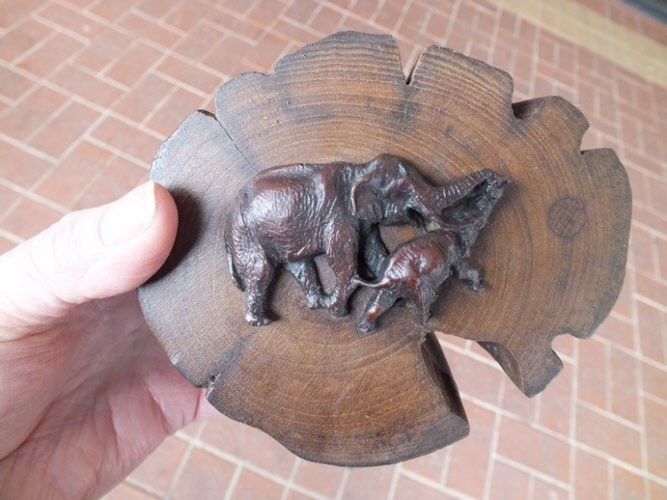 Has two elephants on top as pictured. Please note: Shape of box may vary as these items are individually made. 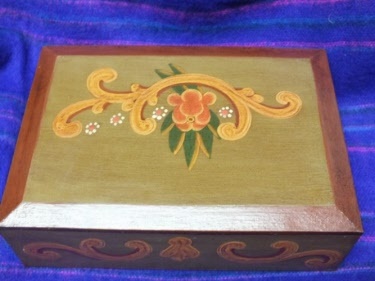 Great box made from wood and hand painted on the tropical Island paradise of Bali. 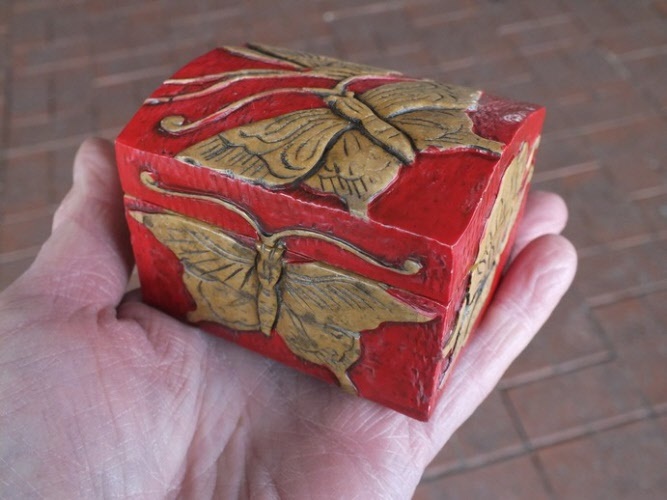 Beautiful and durable this lovely box made from Resin-Stone comes all the way from Vietnam. 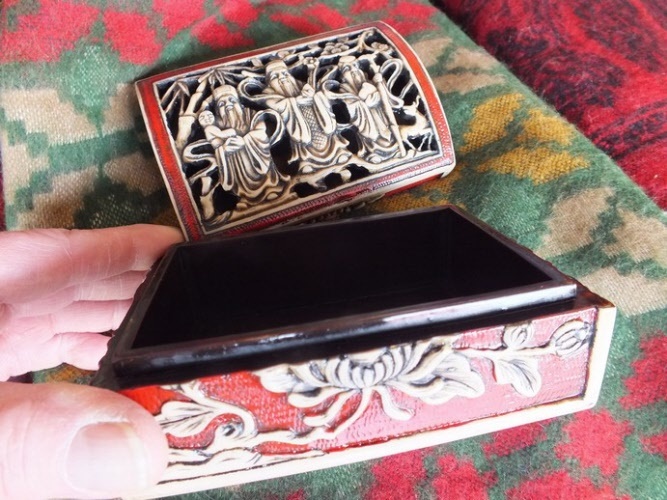 Just the thing to keep your treasured items in, maybe earrings or rings, whatever you like really. 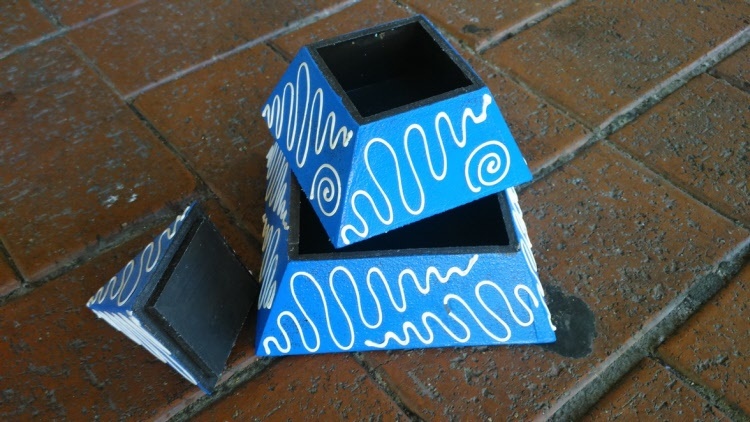 Click on photo to see inside box. 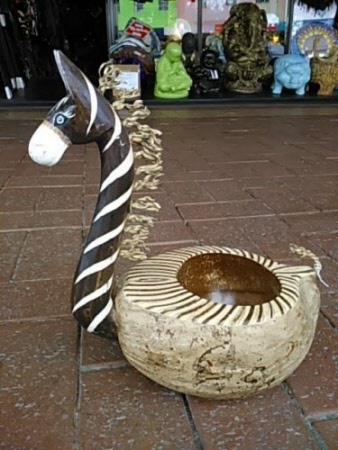 A beautiful Zebra fashioned from a coconut, has twine as the Zebra mane. Ideal for the horse / zebra lover. Great idea to put your car keys in, then you will alway know where they are. 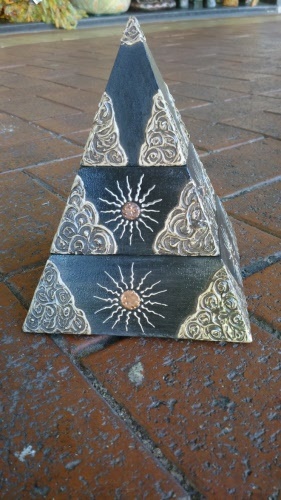 A fantastic gift for the person who has everything. 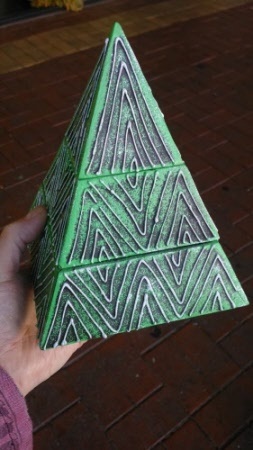 Pretty sure they won't have one of these. 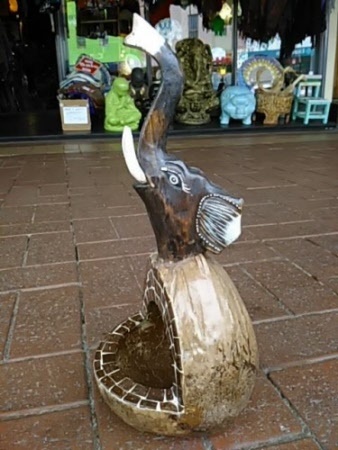 Gorgeous elephant bowl, he has is trunk up so he's a good luck elephant. 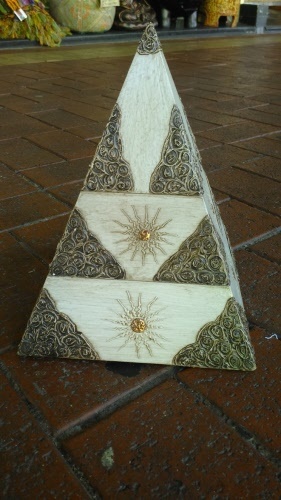 Made from all natural products, coconut, wood and twine. Sure to please any elephant lover. 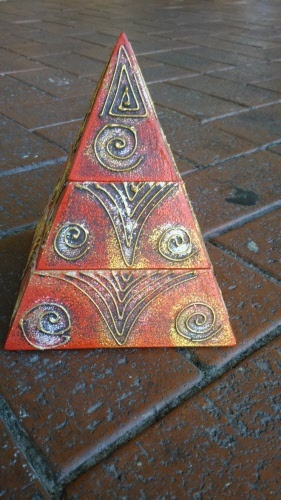 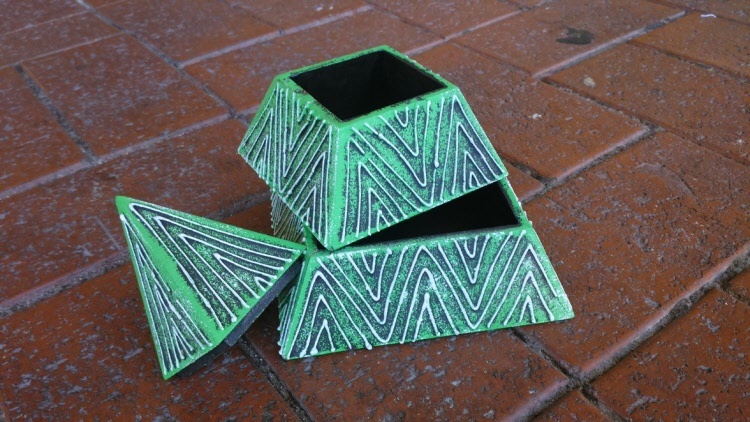 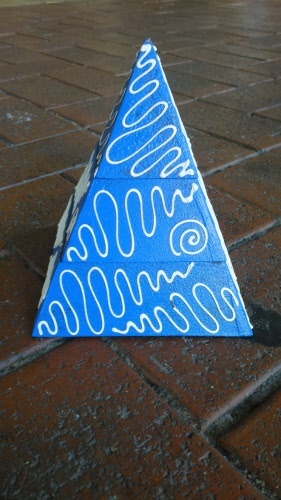 These are beautiful Pyramid boxes, looks just like a solid pyramid. Lift off the top two sections and you have compartments inside to keep whatever you want inside. 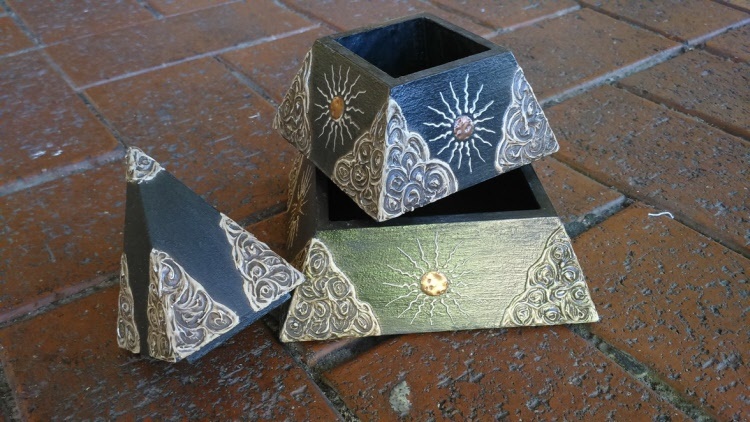 Ideal storage for those precious items and they look great too. 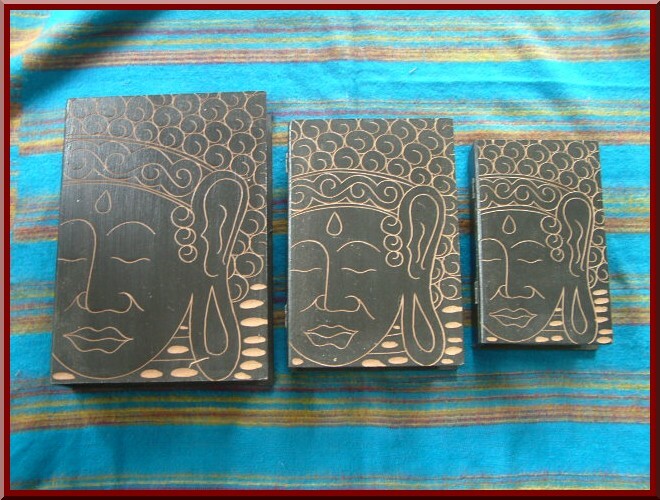 Made from wood and hand painted, they make a great gift or spoil yourself with one. 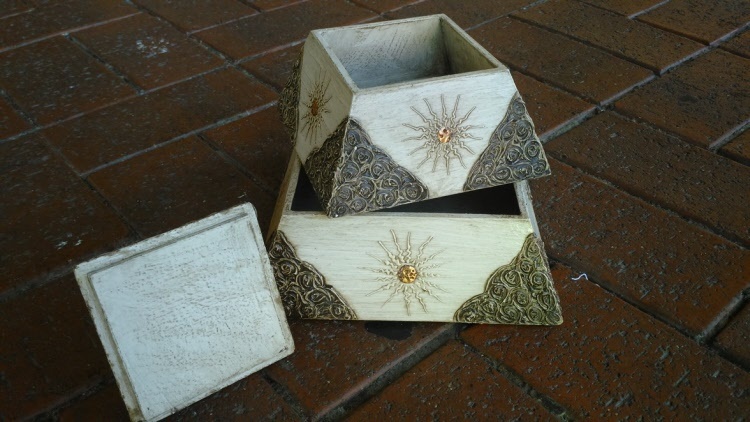 Click on photo to see the box open.